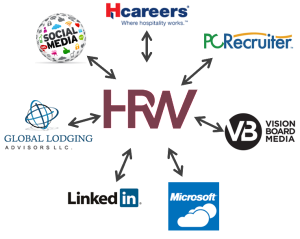 HRWorldnet is a global executive recruitment firm built by experienced hospitality industry professionals. We have managed the operations of some of the world’s premier hotels, resorts, and restaurants so we understand not only our partner’s operational needs but also what it takes to be a successful leader. We have a unique, intuitive sense for leaders. Our Executive Search and Management Recruitment leverages our extensive experiences, vast network, and cutting-edge technology to find the leaders that you need. 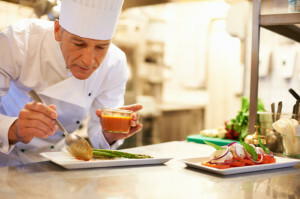 We have built a global database of over 25,000 hospitality professionals that are the cream of the crop. Powered by Microsoft Cloud, HRWorldnet collaborates on projects from virtually anywhere, communicates better using Social Tools, and finds top talent regardless of geography. Our reach and search is truly global. We also use PCRecruiter®, the most sophisticated recruiting system of its kind. By putting all our clients, candidates, and positions in a single, relational database, we have complete control over the entire recruitment process. Our recruitment system services are tailored to fit your needs. From simple job board listings, to candidate screening services that will ensure you review only the best candidates, to full executive services, we create custom recruiting solutions. Our job is to screen all talent and present you with the best of the best. We build a deep understanding of your organizational structure, corporate culture, specific job requirements, and personal specifications. Diving into our global database, we select potential candidates who fit your specifications. We extensively interview each qualified candidate and research all professional and personal references alongside a deep background check. We prepare and present you a written synopsis of each qualified candidate. Acting as a liaison between candidates and clients, we coordinate all interview scheduling. Then, we assist you through every step of the selection process. After the appointment, we check back with our clients to assure that they are satisfied. Let us help you find the leaders you need to take your business to the next level.